Everyone has a favorite band or two, so why not show your love with a patch dedicated to them? Whether you like a single artist or an 8-member band, we can create a patch for you that gives others an idea of your taste in music. We can design a logo, song lyrics, motto, or even the band members’ faces that you can stitch or iron onto your school backpack. 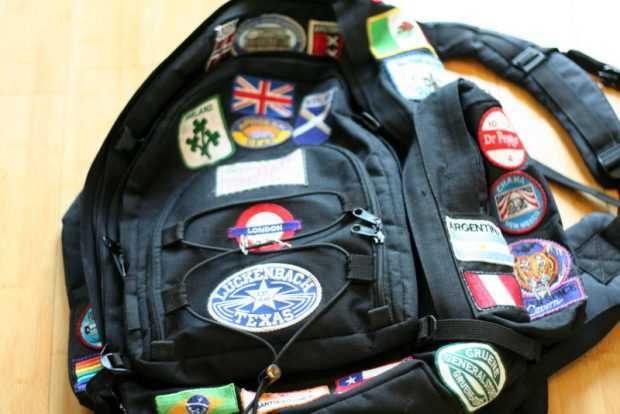 The best way to personalize your backpack is with an awesome patch that shows your name. With so many different colors and font styles available, we can create you something that’s bold and stylish so that you can show off your first name, last name, or nickname and really make your backpack unique. Whether it’s middle school, high school, or college, school pride runs deep, and if you’re proud of your school and those in it, show it with a mascot patch. We can duplicate nearly any school mascot design and make a beautiful, durable backpack patch in any size you’d like. We also offer a variety of backings, so you can sew, iron, or even pin your patch on. Are you mostly German in heritage? Did you happen to visit France and love it? Maybe your best friend is from Brazil. No matter what your reason for patriotism, our flag patches are a great way to show it. In addition to a classic American flag, we can create a flag patch from any country in the world and you can show everyone your support for that country. Your backpack is part of your personality, and if you have a hobby or interest that you love, show it off! We can create a patch that shows your love for piano, basketball, sewing, art, fishing, dance, hunting, Scouts, fitness, and anything else that is part of who you are. Best of all, your patch will show others your interests and you’ll be able to find others with those same interests. This entry was posted in For Fun and tagged artwork, backings, DIY, embroidered, logo, school, Scouts, sports.